Situated near the base of the Istrian peninsula, the population of Pula stands at just over 62,000 making it the largest city in Istria. Pula’s most famous attraction, the Roman amphitheater, is one of the most famous sights in the whole of Croatia. We recommend renting a cheap car to move around and explore the surroundings. Located in the picturesque Istria Peninsula of Croatia, Pula is a quaint little town with 18th century architecture, churches and palaces, gardens and scenic locations. Pula is a sleepy town with considerable Roman influence in the construction styles you see around you, and has an exciting nightlife with classy pubs and discotheques. Enjoy a day out in the mountainside, or go out on a safari with our car rental services when you’re not wandering across the city at leisure. This is one place designed to make you fall in love with it as soon as you set foot in the city. Pula consists of many architectural marvels ranging from the majestic Arena Coliseum, the Forum Square at the centre of the city with beautiful shopping arcades, the triumvirate of the Triumphal Arch (Zlatna Vrata), the Twin Gate (Dvojna Vrata) and the Hercules Gate (Herkulova Vrata) to the Kastel. The St. Francis Monastery and its gardens make for an interesting day out. By choosing car hire we can help you explore this delightful city at your own pace, and at reasonable rates. You can find isolated natural beaches at Kamenjak, which is around 10 miles from Pula. Though not suitable for water activities, a stroll along the shore and the stunning views of the Croatian Coast make for an exciting picnic. Enjoy some of the best seafood dishes in the world at the shacks found here. Moreover, you can go for fish picnics by ferry at Kamenjak. An hour by ferry from the mainland, the Brijuni Islands offer beautiful views of the Ocean and boast of untouched pristine beaches. Brijuni is essentially a National Park where safaris are organized to offer a glimpse of the striking flora and fauna in the area. Some notable attractions include dinosaur footprints, lavish villas that belonged to the European Nobility and the beautifully landscaped gardens. You can charter ferry boat services to Brijuni through the Farzana harbour. With our car rental services, you can assure yourself of a marvellous holiday in Pula. 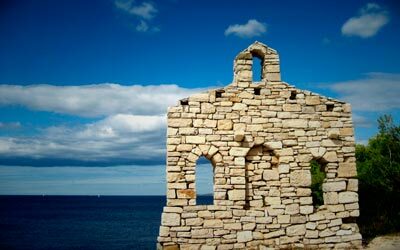 If you think you have seen everything there is to see in Pula including touring around the city and exploring the Sergijevaca pathway, the Archaeology Museum and other important places, you can book our trusted car hire services to go to the nearby towns of Motovun, Rovinj, Porec amongst others. Pula offers activities and exciting sightseeing for tourists all year round. Come to Pula and have a fabulous holiday. At Pula Airport not all car rental companies have an office, therefore a representative from the car rental supplier will meet you in the airport terminal at the ‘Meet and Greet’ to take you to your rental car. When traveling to Pula we advise to carry some Croatian Kuna to avoid any unwanted surprises. At Pula airport there are Money Exchange offices in order to change your local currency. The local time code for Pula is CEST. When traveling to Pula make sure to check the local weather conditions in order to avoid any unpleasant surprises. Pula has approximately 57,460 inhabitants. When traveling with family and children, we recommend you select a car with enough space for luggage and enough space to fit child seats. Children must travel save in a child seat/booster depending on their weight or how tall they are. Rentalcargroup.com offers a wide range of variety of station wagons, mini vans in Pula Airport. The best way to discover Pula Airport is by renting a car. Renting a car is easy and affordable way of transportation. With your rent a car you can explore the beautiful surroundings of Pula Airport. Rentalcargroup.com works with numerous rent a car companies in Pula Airport. Last month, the average car rental length at Pula Airport was 9 days. The average rental car length at Pula Airport is 7 days. The most booked rental car type currently at Pula Airport is MINI cars. Last year, the most booked rental car type at Pula Airport were ECONOMY cars. How much does it cost to rent a car at Pula Airport? Last month, the average car rental price was 115 USD. Last year, how much did it cost to rent a car at Pula Airport? Last year, the average car rental price was 210 USD. What is the current average daily price to rent a at Pula Airport? Last month, the average rental price was 13 USD per day. How much did it cost to rent a car at Pula Airport over the past 12 months? Last Year, the average rental price was 28 USD per day. The car rental companies available at Pula Airport are: Alamo, National, Enterprise, Firefly, Oryx, Hertz, Avant Car. See below last 5 customer reviews. Our customers rated Pula Car Rental with an average of 10.00 based on 5 ratings. Great Service And Cost - Start To Finish. The service post holiday was great, helped with some time changes. people at pula airport ( will rental) were fantastic. added great value and experienced to the holiday. thank you. Great communication, availability and willing to support.